A man is to be reported to the procurator fiscal after a dog was reported to be overheating in a car in Caithness. A Police Scotland spokesman said: “Officers attended at Loch Watten near Wick after receiving a report from Highland Council’s dog warden in relation to a dog which had been left within a parked vehicle. “The dog was released from the vehicle and taken for assessment by a vet. The Scottish SPCA has recorded an 80% increase in calls from the public concerned about dogs in hot cars. 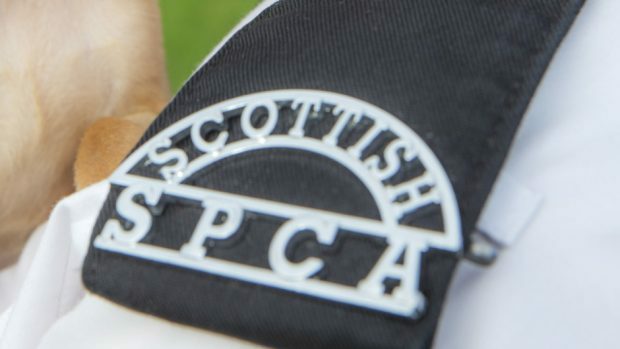 SSPCA chief superintendent Mike Flynn added: “We’re very concerned at the number of reports we’re receiving about dogs being left inside cars during the hot weather. “Owners need to understand that it’s completely unacceptable to leave a dog in a vehicle in these searing temperatures, even for a short period of time with the windows down. In this kind of heat, just don’t risk it. “Dogs are unable to sweat, and can only cool down by panting. Leaving your dog in your car, even with the windows down, can cause your dog to not only overheat, but in some cases, die. SSPCA Deputy Superintendent Peter Fleming said:“In this hot weather we would advise the public to ensure their pets stay hydrated, cool and a fresh supply of water should always be available. “Sometimes just keeping a window open at home or putting on a fan to let the air circulate the room will help provide a cool temperature for them. The public is advised that if they a dog in distress to call the SSPCA confidential animal helpline on 03000 999 999.